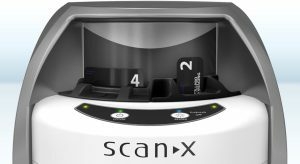 The ScanX Duo is the only dual slot intra-oral scanner available in the Veterinary market that can provide a complete mouth-series images in minutes with less exposures than other modalities. 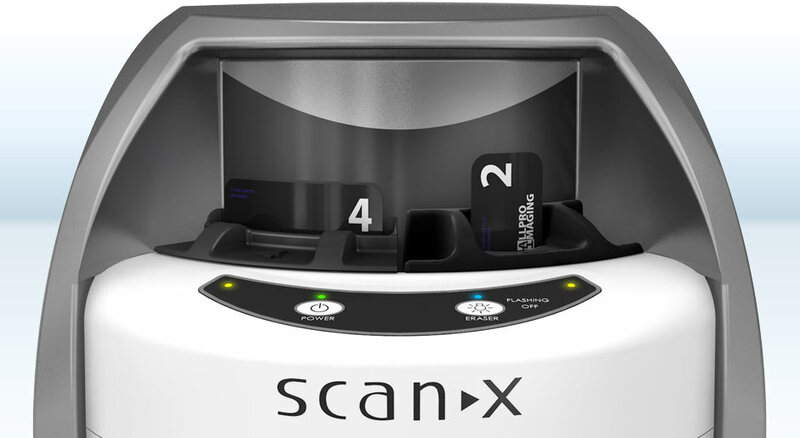 The unique dual-tract in the ScanX Duo allows you to process two imaging plates of varying sizes at the same time. A complete mouth series with size 4 imaging plates can take a quarter of the time with less exposures as compared to a sensor. 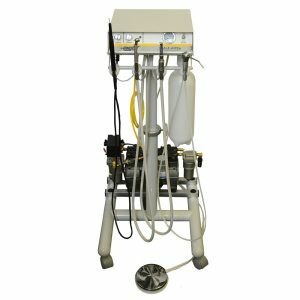 The ScanX Duo’s fresh white and polished silver design brings a contemporary look to your practice. 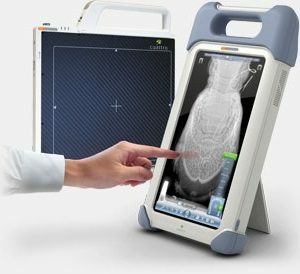 A faster scan time delivers a full mouth series in just a couple of minutes and the display illuminates when the system is ready for use and while reading plates. 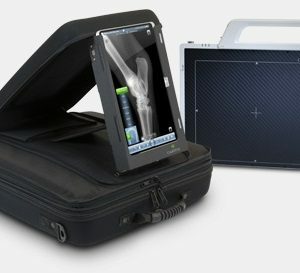 exceptionally efficient during times of heavy workflow. 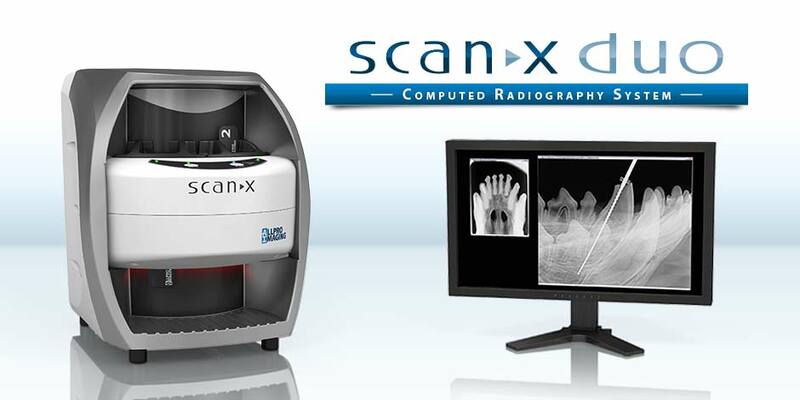 pathologies under the gum that are not visible during a routine exam without radiographs. ScanX Duo rapidly produces digital, diagnostic quality radiographs in all intraoral dental sizes, 0 through 4, and even size 6. 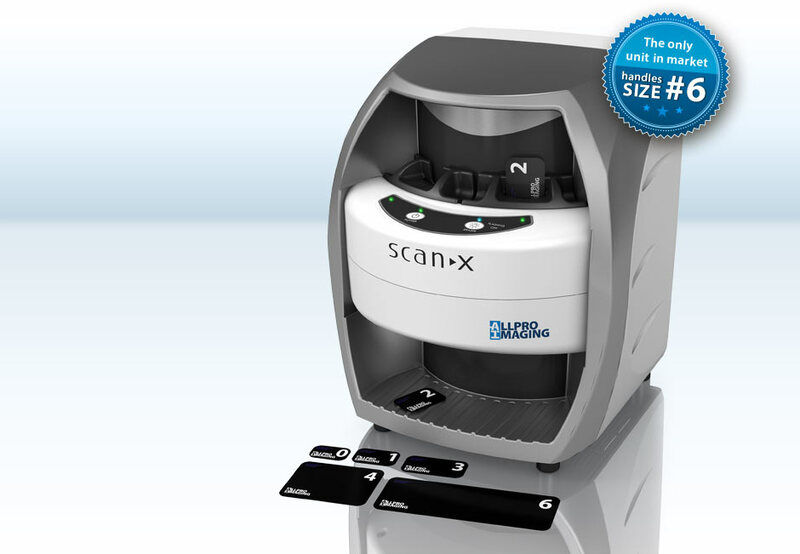 The dual plate scanning capability makes it exceptionally efficient during times of heavy workflow.